Looking to move to modular documentation using a DITA strategy? Are you ready with a unified work flow? Do you have a Style and Graphic Guide Strategy? At Imagination we did not, but knew modular documentation and DITA was our goal. Get to know the teams and each other: Transparency, no egos, and understand cultural differences. Establish common goals: What is our end game, what are the gaps for a standard pubs group, and where we want to be. Communication and Collaboration: Establish weekly discussions of sharing thoughts about where we want to go, and don’t take things personal. Moving to modular writing is more than tools and formats. It also requires an infrastructure and a team collaborating together. Working together is about looking at the whole and not your individual wants. Reaching team agreement is hard but worth getting the buy in from a disperse team. 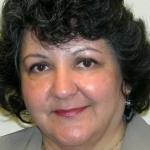 Leticia Guzzetta is an experienced Technical Publications manager and writer with a focus on improving publishing processes and content strategies with some expertise in XML, DITA, CMS, CCMS, and FrameMaker. At Imagination Technologies (her current company), Leticia manages the MIPS documentation writing team and projects. She works closely with her overseas peers to improve the publishing process and guide the team to modernization. With her 17 years management experience and 30 years publishing experience, Leticia is in a unique position to aid her colleagues on their modular documentation journey. Leticia has a BA, MA in English. She hopes to achieve a doctorate someday. In Leticia’s spare time, she enjoys spending time with her family and traveling…especially to Hawaii.